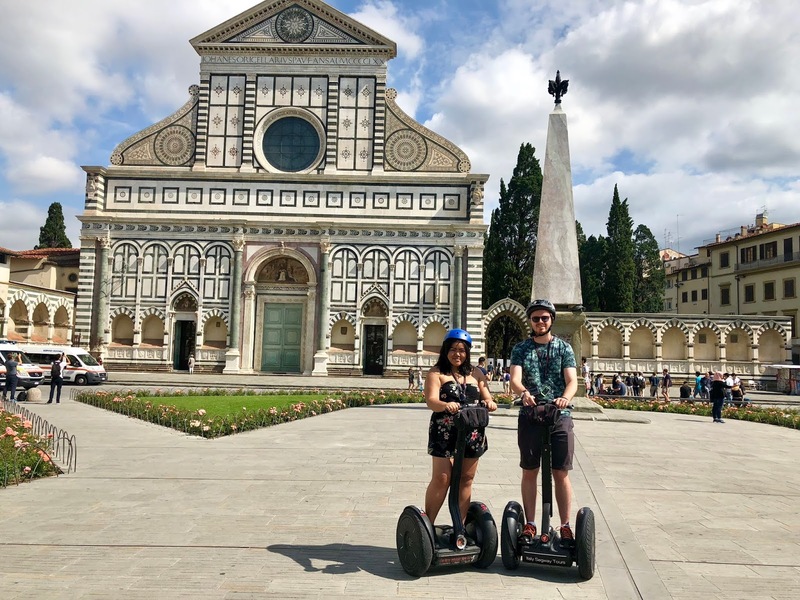 With having 3 and a half days in Florence, we knew we had to make most of this time and what better way to explore the city with a segway tour. This actually was not planned at all in advance, but after hearing on our food tour in Rome how good it is from a fellow tour member, we got this booked the night before and geared ourselves up to explore this wonderful city in style. The tour overall was 3 hours so you can imagine there were many stops along the way. We honestly couldn’t be thankful enough for the segways – if we were to walk all this there would’ve been a high chance of tears! But this was a dream. The first stop was Repubblica square, followed by Strozzi palace, Santa Maria Novella square, Tornabuoni & Santa Trinita church. 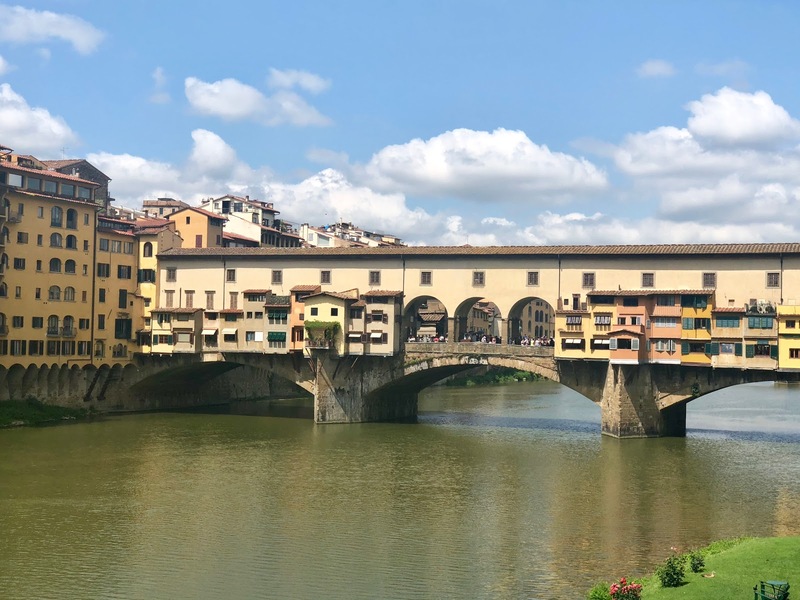 We also had a quick stop at the Porcellino, followed by Signoria Square, Uffizi square and we also stopped alongside the Arno river, where we admired the sequence of bridges that paint the Florentine scene! 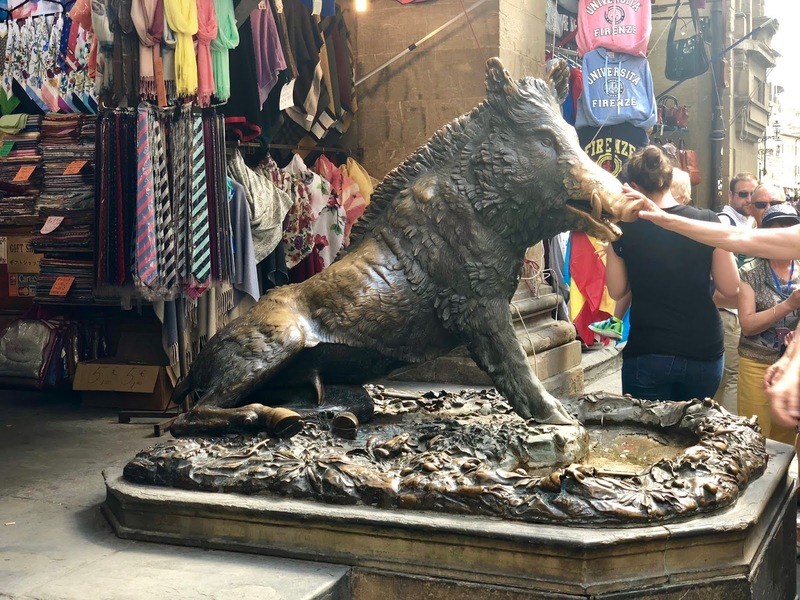 Along with each stop, our guide told us about the historic facts and even had some videos to show us as we stopped, which we thought was a great touch to get that extra feel of how the city’s history unfolded. The once thing we did notice is that Florence has a lot squares. 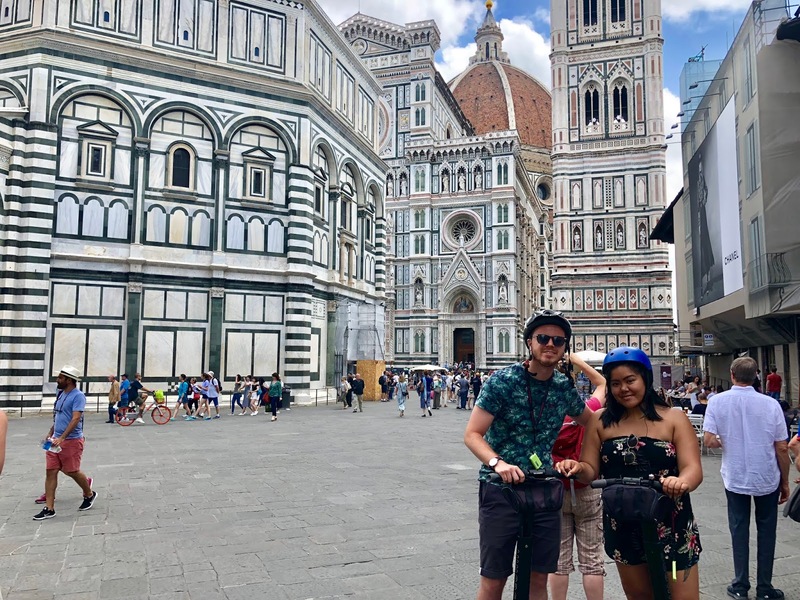 The next few stops were Santa Croce square, San Firenze square and finally, we ended the tour at Duomo square, where we took our group photo and headed back to the main office to give back the segways. 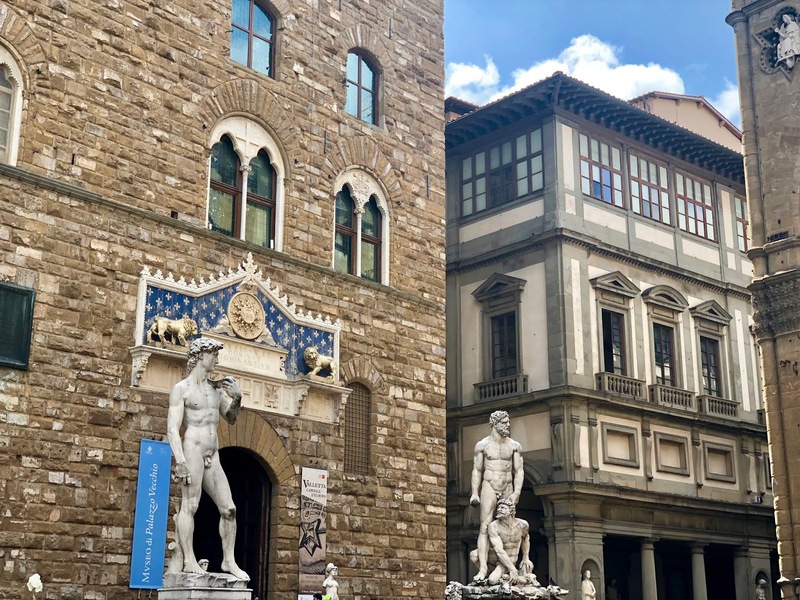 With the speed we built up between stops, the tour allowed us to see all corners of the city and gather a well rounded picture of the Florence lifestyle, history and modern day touches. 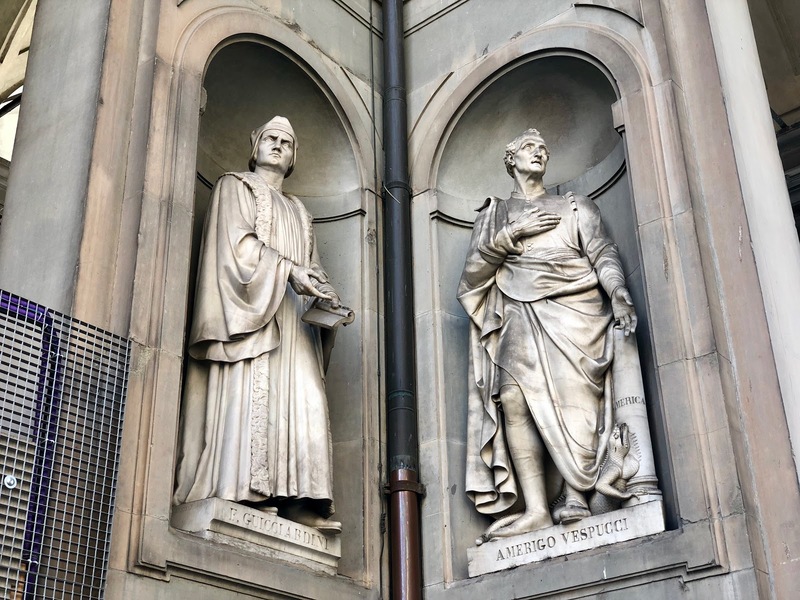 It was very much worth the extra amount of money you pay for this type of tour and therefore we would most definitely recommend this experience if you are in Florence for a short amount of time. I've seen a couple of people on segways when I was in Budapest but never realised you could do tours on them. I was always a bit terrified at the thought of getting up on a Segway but you make it sound so fun that I might just try going on one sometime. I'd love to go on a trip to Florence.